Home >> Analysis and Features >> Analysis: Jet Airways first quarter FY2018 results. Several challenges. Jet Airways Boeing 777-300ER VT-JEG performing flight 9W117 from London approaches Mumbai airport. 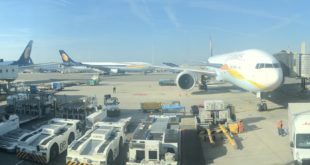 Analysis: Jet Airways first quarter FY2018 results. Several challenges. Jet Airways reported results for the first quarter (Q1) of the fiscal year 2017-18 (FY2018 or FY18) yesterday. The results were a mixed bag and showed both areas of improvement and concern. Bangalore Aviation presents an analysis by an external industry professional as the editor of the site owns shares in the airline. The external analyst prefers to remain anonymous. 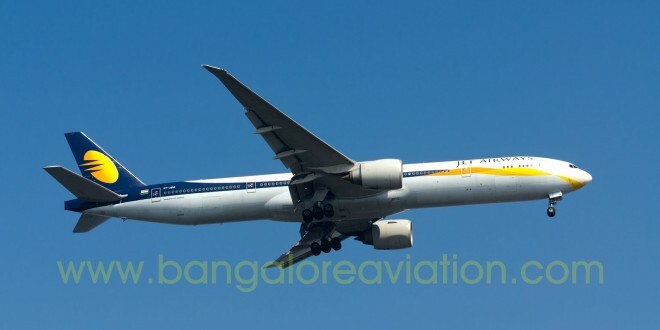 Already a strong network carrier, Jet Airways announced the addition of 96 flights during the first quarter. This was both a response to the strong domestic demand and a counter to the growing power of competitors. Flight additions included new routes from Pune and Jaipur and additional frequency on existing routes from several cities. On the international front, Jet announced additional flights to Riyadh from Mumbai and Delhi and an interesting route of Chennai to Dhaka. Another area highlighted was the increased focus on codeshares especially alignment with Airfrance-KLM and Delta Air Lines. 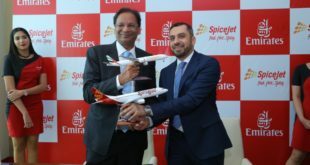 This has resulted in a 19% growth in traffic and the international focussed strategy is clearly indicated by the management changes at the airline including the new CEO Vinay Dube who is ex-Delta. We forecast that Jet Airways will allocate additional capacity away from the Etihad-Abu Dhabi hub and deploy more capacity into Europe, specifically Amsterdam and Paris, given the significant slow-down in the middle-east. This strategy is already in action with the start of the new Bangalore Amsterdam and Chennai Paris Charles De Gaulle from the winter 2017 schedule. International operations also gives Jet the added protection of bi-laterals and negotiation where Jet has been in the game longer than any other private Indian carrier. With systems, personnel and aircraft that already ply on international routes, this expansion may be yield higher revenue than domestic. 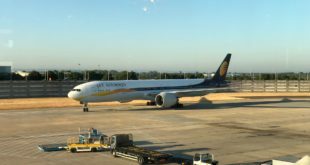 In response to Bangalore Aviation’s question on slot constraints at Jet’s main hub at Mumbai airport, Jet Airways management acknowledged it was a challenge but felt it was an area they had synergy with the airport operator MIAL. The management also highlighted how precious a resource slots are; each slot earned is one less for the competitor. Jet deploys 55% of its capacity in the international market and within that deploys significant part of its capacity to the Gulf. The weak economic conditions due to collapse in oil prices, have significantly affected Jet as is visible in the depressed yields which are down by 7.8% compared to the same quarter last year. Conversely yields were up 8.7% in the domestic market. This could have been even higher, but the airline management explained, the full increase in fuel prices is not being passed on to passengers, thanks to aggressive capacity building by competitors. Jet remains focussed on corporate segment which contributes almost half of the airline’s revenue as of date, but growing threats the Tata-Singapore Airlines Vistara, and even the low fare players a looming. This tweet about an IndiGo flight best sums up the situation. The ability to grow revenues in such a competitive environment with significant capacity induction forecast remains limited. Expect extensive optimisation initiatives which will focus on contract renegotiation, efficiency gains and productivity gains. Jet ended the quarter with 113 aircraft. As we earlier reported the six Boeing 777-300ERs leased to strategic stake-holder Etihad Airways PJSC, are all back and flying with Jet Airways. These are already giving Jet the flexibility to upgrade routes where the A330 is currently deployed. In our opinion, Jet has many aircraft types and this may merit some fleet rationalisation. In the earnings call Jet announced that a total of eight Boeing 737-800 aircraft will be added in the current year and the new Boeing 737 MAX 8s will be inducted starting in the first quarter of the next fiscal year. The first of the eight 737-800s has already been inducted as VT-JTE though we highlight this aircraft is over eight years old. 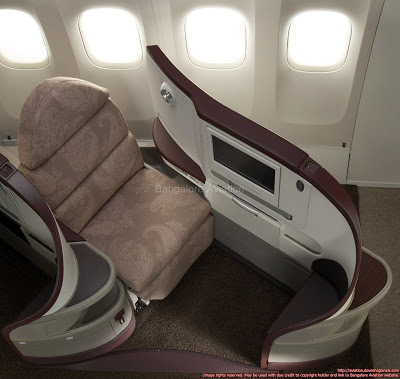 There airline remains silent on when the already deferred deliveries of their ordered 10 Boeing 787-9s will commence. At the most basic level, Jet has a revenue per available seat kilometre of ₹4.26 that is less than its cost per available seat kilometre of ₹4.39. That means that operationally each seat is flown at a loss of ₹0.13 per kilometre. Profits are coming from non-operational items and this is not a sustainable proposition. As the ability to capture revenue remains challenged in light of the intense competition, Jet will be forced to focus on costs. Debt levels remain high and this impacts cost. Net debt of about ₹8,000 crores remained almost flat. Jet confirms that its focus is on debt reduction which is critical to compete with domestic market leader Indigo which is sitting on a healthy pile of cash. Jet Airways will continue to be one of the stronger players in the Indian market. This is both by virtue of their product (their business product on international long haul is very competitive), their position (especially their dominance in slot constrained Mumbai) and their perpetual deal making. However, this dominance is being attacked on both sides. On one side is Vistara and the other is IndiGo. Jet needs to become operationally profitable at the basic level where its CASK is much lower than its RASK.